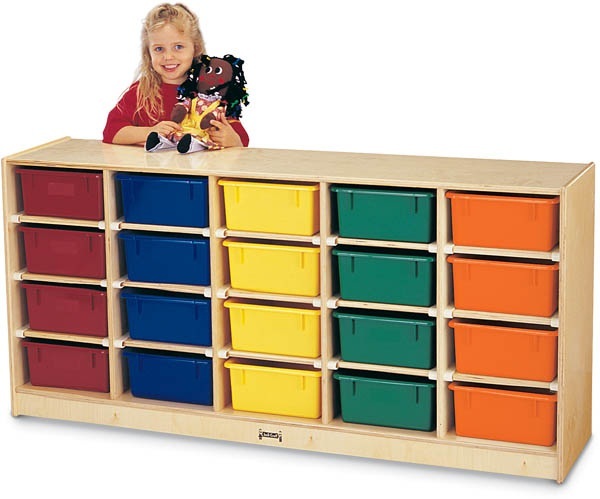 Jonti-Craft’s 20 Tub Mobile Single Cubbie Units are the ultimate storage units for for pre-school or kindergarten classrooms. 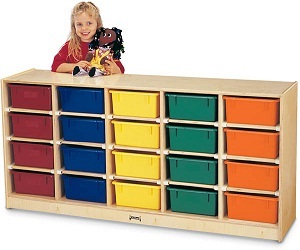 Cubbie units also serve to teach little kids to keep their belongings in an organized way. They are built with safety in mind. Specially designed, no sharp edges, durable rounded corners to avoid injury and built with non-toxic materials. Units with solid plywood backs are also available for purchase.